...out of the need for a reliable local hardwood & hardware company in Torrance, CA. Since then we have grown in size and capacity and continue to expand our business. We are able to serve all aspects of your woodworking needs and have two locations in California to serve you. 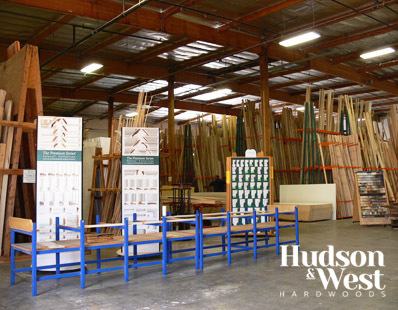 We carry a full line of specialty hardwoods, power tools, bits, hardware, finishes, and hinges. Our full-line warehouse allows us to serve general contractors, builders and also the public. Select from our wide range of over 25,000 products and rest assured that everything you need is available from Hudson & West. We are a company dedicated to customer satisfaction and your input is very valuable to us. If you have any questions or concerns please contact us or call us at 310-533-4000.